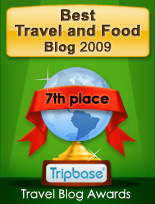 To make it easier for you, I have compiled all the rated restaurants on Enjoy Food & Travel for the year 2010 on this page. Enjoy!! Stattholdergaarden is one of four restaurants awarded a Michelin star in Oslo. In the basement, you find Statholderens Krostue, where you may enjoy the same cuisine under 17th century vaults. We did, and dining here may be the best culinary experience in Oslo ever, and I have lived here for 30 years!! Armada Sera is located on the top floor of the Armada Hotel in Istanbul. It has a view to die for, and we enjoyed one of the best meals of the year here on the first night of our stay in Turkey. One of our many good culinary experiences in Istanbul. Great location and less pushy personell than you can experience when looking for a place to eat in the area. I had booked a table at 4 PM at Vognmand Nilsen, as I had dined there only two days before. At its best it was one of the best experiences the last 12 months, but I found the whole experience a little uneven. Al Fassia served one of the best meals of our trip to Marrakech. Expensive compared to many other restaurants in the city, it was well worth the investment. It offered low key and excellent service in a contemporary still traditional interior. Chez Bahia is a place I will return to when revisiting Marrakech. Authentic, high quality food offered at ridiculous prices. A bargain for low budget and luxury travelers alike. For a fixed price, you go through a culinary journey at Giritli Restoran, with a wide range of dishes reflecting the rich Turkish cuisine. Izarra is located in Calle Major, a narrow street in the pittoresque downtown area of Sitges. Easily accessible by foot a short walk away from the seafront area. Visitors will have to take a 15-20 minute walk from the railway station. Sadly Oslo has a very few places that serve this Scandinavian specialty, but I discovered that I could add Restaurant Larsen to the list, and judging from my open sandwich they are good at it. Barker Tavern is certainly in the upper crust of restaurants I've visited during my years in New England. With most main courses priced under $30, good service and great historic atmosphere it is most certainly a place to consider for a good meal. I have dined on the ferries between Oslo and Copenhagen countless times, and have had a wide range of meals. For those crossing the Kattegat, do not expect fine cuisine. Place Saint Catherine in Brussels used to be the place to enjoy seafood in the Belgian capital. When looking for a place for lunch, we passed a couple of seafood restaurants before choosing Les Crustacés. There are restaurants that are impossible to evaluate. One of these are Cennet Yoresi. In spite of strange food (my choice), uncomfortable seating in cramped conditions, I still recommend those visiting Istanbul a visit there. It is a genuine experience. The Bridgwaye Inn was built before the American Revolution. Originally it was called Ye Surprise Inn, it provided comfortable relaxation for those traveling from Plymouth to Scituate. I have visited the popular tapas restaurant Bilbao Berria in Barcelona a number of times these last years, and always decided to revisit, as in June 2009. The Far East meal was a slightly disappointing experience. Good entre, but the main dish was a far cry from the intriguing flavours of the East Asian cuisine. Excellent service, and reasonable priced lunch and dinners. My Moussaka did not provide me with those strong Greek vibes. Memphis Cafe & Bar, Oslo (Reviewed October 20th 2010): BBBB- (3,66 points)At Memphis Café & Bar you order burger - only! This was the advise from a friend that lives in the neighbourhood. I ordered pasta. That proved my friend right! Windsor Garden is a place not to try pizza. It has few big assets, all in all. Decent location, and reasonable prices are a few. The rest is best described as mediochre. Windsor is OK for a snack for those of you with low expectations, except to satisfy primary hunger. Good location, but Massimino's Cucina Italiana is hardly the place for a memorable meal, or an interesting rustic Italian interior. If you want to experience old world charm in Brussels, you'll definitely find it at Café Metropole, located in the hotel with the same name. Last year we enjoyed a great dinner at Fond Restaurant in Göteborg. 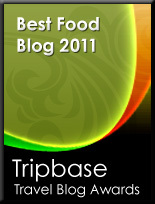 It had then been awarded one star in the prestigious Michelin guide. This year we would like to explore another Michelin restaurant and managed to get a table for 6.30 PM this Saturday. Beyti has been visited by many famous guests during its history, some famous others unknown to me. They have a gallery of notorieties on their website, here are a few I know. 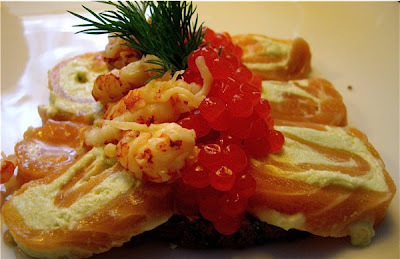 December 22nd 1900 marked the opening day of Theatercafeen, one of Oslo's most legendary restaurants. August 22nd this Viennese-style café reopened after extensive restoration works with the grand old Dame of Norwegian theatre, Wenche Foss (below), as guest of honor. Late September I move from downtown Oslo to Høgåsen, in southern part of Oslo. I switch subway for a 15 minute ride with suburban train to Oslo Central Station, apparently far away from any fine dining, or.......? Food Court at Boston's South StationTo dine in Boston, as any other large US city, may end up as a costly affair. If you spent too much on oysters or Maine lobster the day before, it is a good idea to lunch at one of the many food courts found around the city. It will relieve a stretched budget, and it tastes decent. One fooud court is found at South Station, in the heart of downtown Boston. Gio Bar is a giant leap from Norwegian culture to gay culture. This Sunday, I went back to M4 Mat & Bar for Sunday dinner. They had fried cod with mash, grated carrots and remoulade on the menu. What a dainty dish! I always find my favourite hangout in the cities I visit. In Marrakech we always ended up for a coffee at Les Terrasses de l'Alhambra when tired after exploring the city. Coffee or tea, only, as pizzas, pasta and salads should be enjoyed elsewhere. Longing back to sunny North Africa, I and my good friend Per went to Marrakech, the only Moroccan restaurant in Oslo. I got this mail from my good friend John Wroughton. He and his partner, Øystein, had been to Paris over the New Year. Theu had their New Year's dinner ar Le Florimond. Here is his account of their meal. An overwhelming majority in the city council of Stavanger voted Thursday to deny license to serve alcohol to the first Hooter's restaurant in the city, but the politicians avoided all controversy in their discussion. If you are looking for a beach side bar, I will strongly recommend Paddy's by the Sea by the Faro lighthouse at Maspalomas. This bar seemed like a kind of a joke. Its name refers to the Norwegian State Social Security bureau.